In the market for a sedan with the latest tech features? The 2018 Toyota Corolla doesn’t disappoint. They’ve been integrated into every area of the vehicle with big improvements in connectivity and convenience. 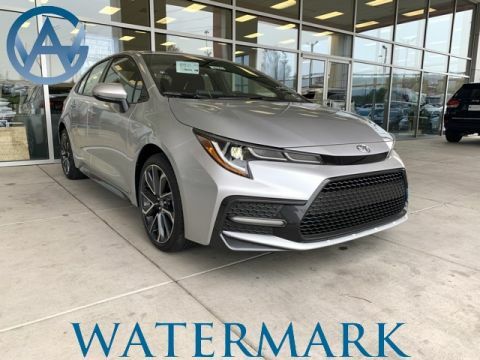 Each model year brings new features, and for 2018, every trim level from the Corolla L and Corolla LE to the top of the line XSE model offers a wealth of exciting and useful tech features. Check out this guide to find out about the features of one of Madisonville’s favorite family sedans. If you find the Corolla appealing, stop by Watermark Toyota to see it in person. All Corolla trims get Bluetooth connectivity and a standard USB port. That lets you stream music and take calls out on the go. With Entune Premium Audio, you can control apps like OpenTable, Pandora, MovieTickets.com, iHeartRadio, and more directly through your touchscreen. The Entune Audio Plus package adds turn-by-turn navigation. When you’re navigating the winding streets near Bowling Green, it’s an important feature. Make parking a breeze with this backup camera. Just shift the car into reverse and a camera behind the vehicle guides you in. 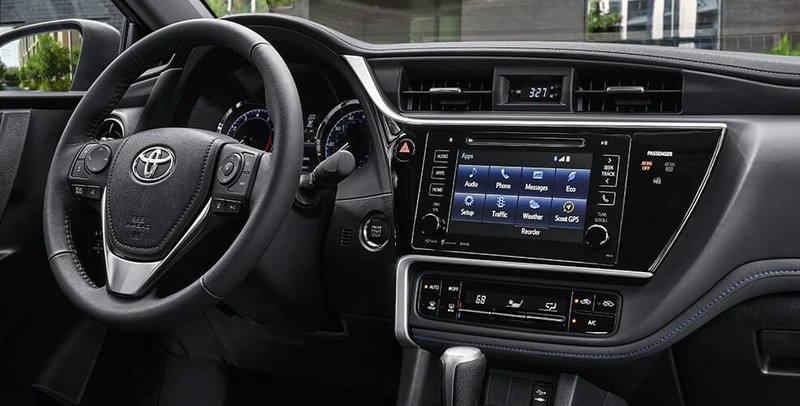 New Corolla models with an Entune Multimedia Bundle get either a 6.1-inch or 7-inch touchscreen, which provides precise control over your audio, navigation, and connectivity systems. In addition, steering wheel mounted controls let you control key features without taking your hands off the wheel. You’ll enjoy voice commands as well. These three control options make it easy to adjust your infotainment settings in any situation, including busy traffic conditions in Madisonville. On top of that, a Smart Key System with keyless ignition makes it easy to hop in and go. There’s no need to even take your key fob out of your pocket. While some infotainment systems are complicated to operate, the Corolla takes a different approach. Visit Watermark Toyota today to find out just how easy these features are to operate. 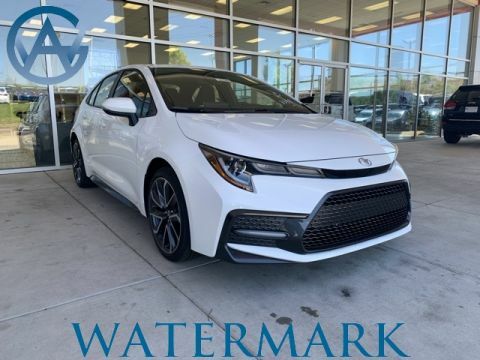 Before you arrive, you can browse our available Corolla models to see which one is going to meet your needs, and you can shop with confidence with our exclusive Watermark Warranty. Be sure to apply for financing online to lock in a great rate on a low-interest auto loan. Schedule a test drive now to reserve your seat!